Discover our different workflows for antigen-specific T cells and find the one that fits your experimental needs. Covered in this webinar are Miltenyi Biotec’s unique solutions for the stimulation, pre-enrichment, isolation, and analysis of these rare cells. The CD154 antibody specifically recognizes the human CD154 antigen, also known as CD40L, gp39, T-BAM, TRAP, or Ly-62. CD154 is transiently up-regulated on activated CD4+ T cells and plays an important role as a co-stimulatory molecule in T cell/antigen-presenting cell (APC) interactions through ligation of CD40. 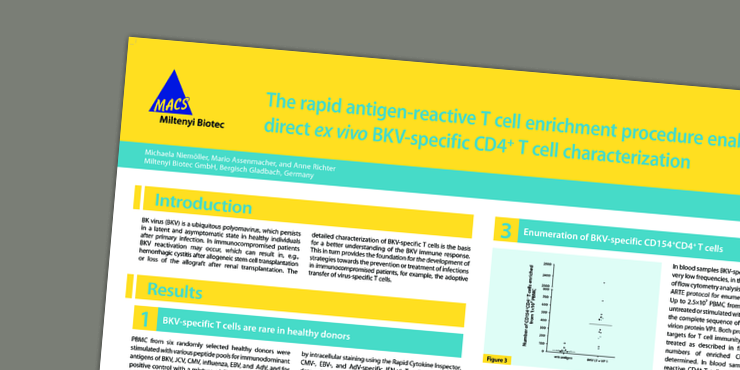 Due to its transient expression within hours after activation, CD154 can be used as a marker for isolation of activated antigen-specific CD4+ T cells. 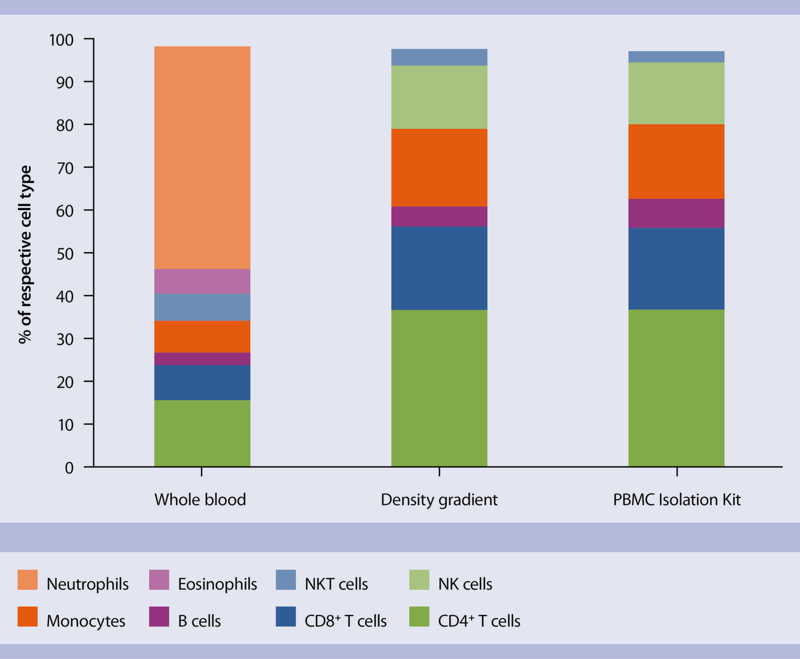 Optionally, pre-enrichment can be performed using the CD4+ T Cell Isolation Kit, human. CD137 is mainly expressed on activated CD4+ and CD8+ T cells, activated B cells, and on natural killer cells, but can also be found on resting monocytes and dendritic cells. CD137 has been described to be a suitable marker for antigen-specific activation of human CD8+ T cells, as CD137 is not expressed on resting CD8+ T cells and its expression is reliably induced after 24 hours of stimulation. For the isolation of activated antigen-specific CD8+ T cells, the CD137 MicroBead Kit can be combined with the CD8+ T Cell Isolation Kit. By combining magnetic cell enrichment and multiparameter flow cytometry analysis of CD154+CD4+ T cells, Rapid ARTE allows the processing of larger cell numbers and the direct ex vivo detection and characterization of rare antigen-specific T cells. With a small footprint, gentle sorting, and disposable cartridges, the MACSQuant Tyto Sorter is ideally suited for the isolation of even the rarest ag-specific T cells in both research and clinical settings. 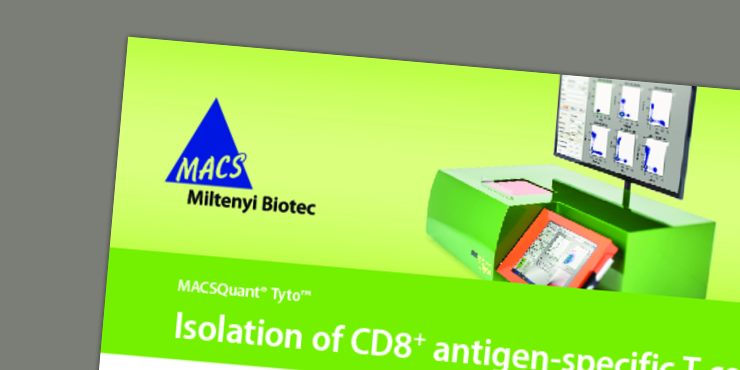 Find out more about the MACSQuant Tyto’s ability to isolate rare antigen-specific cytotoxic T cells to a purity above 90%. 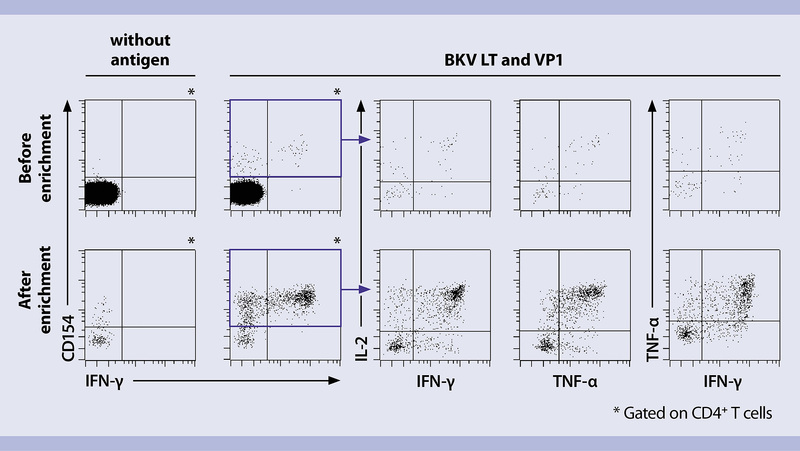 The CliniMACS® Cytokine Capture System (IFN-gamma) allows the direct isolation of antigen-specific CD4+ and CD8+ T cells following a short in vitro stimulation period with a specific antigen. 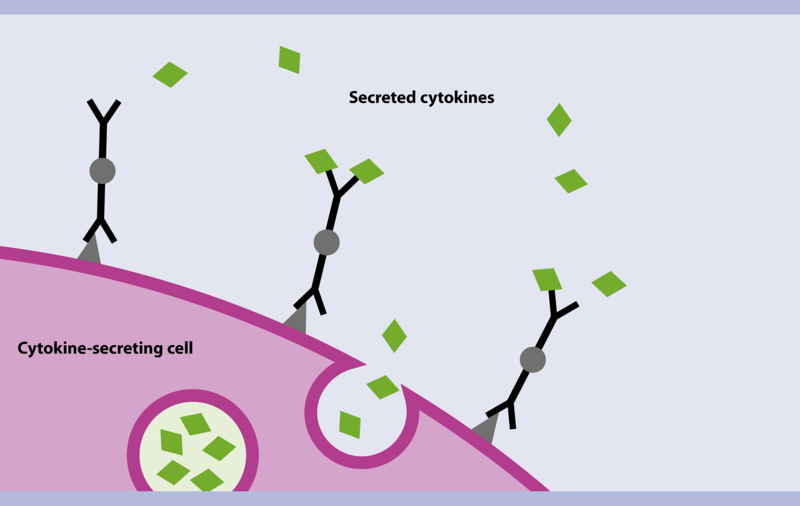 CD4+ and CD8+ T cells stimulated in vitro with a specific antigen can be magnetically labeled with the CliniMACS Cytokine Capture System (IFN-gamma). In combination with the new CliniMACS Prodigy®, the system allows fast and fully automated generation of antigen-specific T cells in a closed sterile system. As the final step in many workflows, flow analysis plays an important part in various T cell applications. 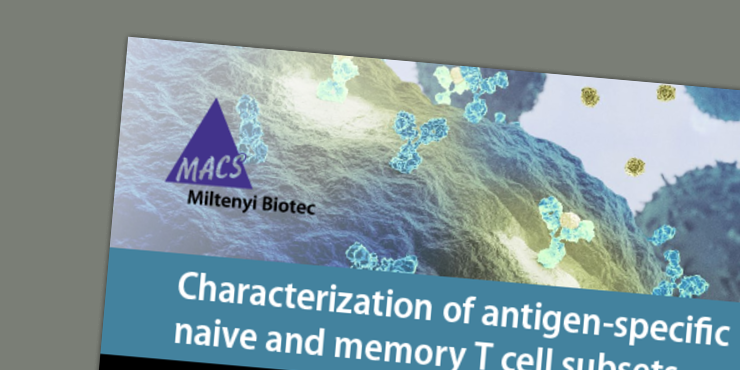 We provide reagents and detailed application notes that help you make sure your flow analysis and phenotypic characterization of rare antigen-specific T cells are reliable and consistent.